What K-Beauty Brand Are You Based on Your Zodiac Sign? Your own beauty choices have to do with your personality and style. 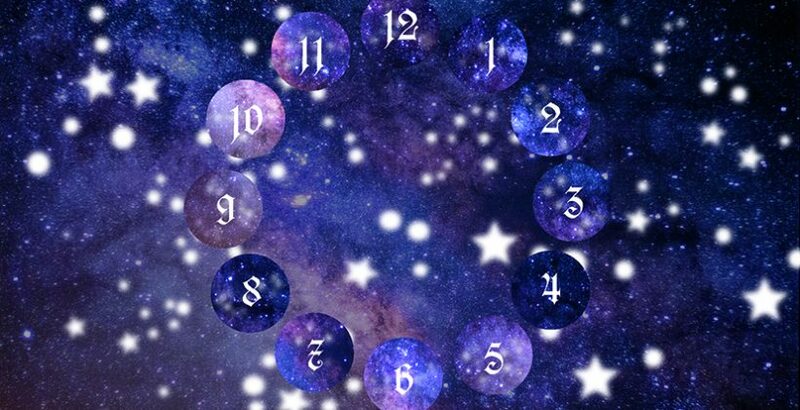 Discover the Korean Beauty Brand that suits your zodiac character and personality. So, what K-Beauty Brand Are You Based on Your Zodiac Sign? 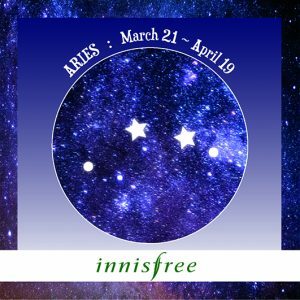 ARIES (March 21 – April 19): Innisfree. Aries is an impulsive sign, full of energy who loves challenges and need new adventures to live. For that reason, this sign needs a minimalist skincare routine, easy to understand and quick to apply so that Aries won’t lose his time. The ideal brand for those Aries is Innisfree. This brand is a naturalism-oriented which has a large products range with natural and organic ingredients such as Aloe Vera, apple seeds, green tea, honey, coconut, ginger, bamboo ect…among others. The most recommended product for Aries is the Olive Real Cleansing Foam, easy to use, and the Super Volcanic Pore Clay Mask to provide the best way to clean skin deeply. 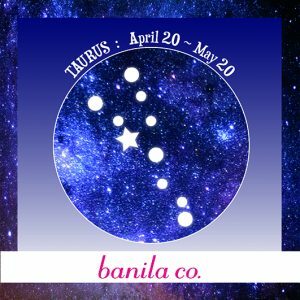 TAURUS (April 20 – May 20): Banila Co.
For Taurus, patience is one of his key features, and you prefer waiting for significant results to get a healthy skin than do a nice makeup to cover all the skin imperfections. Brands with a good cleanser and skin care creams will be your first options, and that is what Banila Co offers. 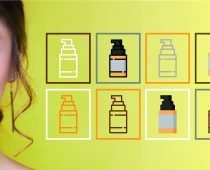 This company strives to provide a broader range of skin care products for all types of skin problems focus on age and skin type of their customers. Taurus should test some of its top products like the Dear Hydration Boosting cream or the Vita peel essence. 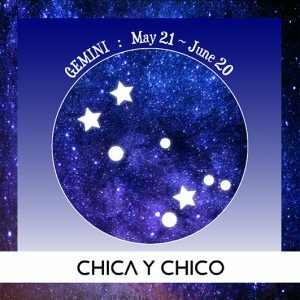 GEMINI (May 21 – June 20 ):Chico y Chica. This sign is known for its double character. 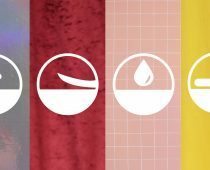 Gemini wants to try every new product, and probably have a variety of different skin care products because he is willing to test regularly; otherwise he could get sick of using the same one. Chico y Chica firm has a large products range which includes makeup, skin care products, body care products all inside of different and stylish packagings. Cool Night Peel Off Mask is one of the most popular, but not the only one: test all its products, they won’t let you down. 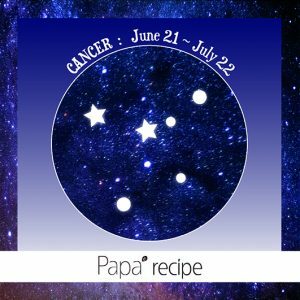 CANCER (June 21 – July 22): PAPA Recipe. Cancer is the pure, oriented and the most sensitive sign in the zodiac and his beauty choice would be for a minimal k beauty brand with good quality products at economical prices and that brand is PAPA Recipe. This brand offers a range of affordable and simple sheet masks that keep skin healthy. 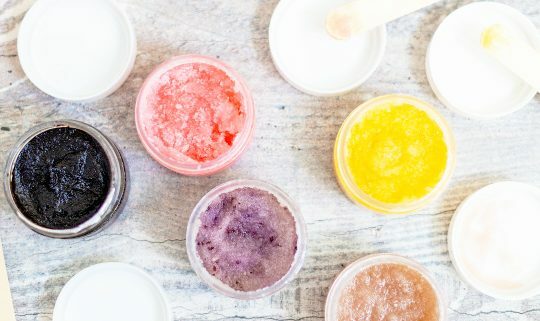 PAPA Recipe uses active ingredients and easy to use cosmetic products, and it is continually innovating to meet the concrete needs of its young consumers. 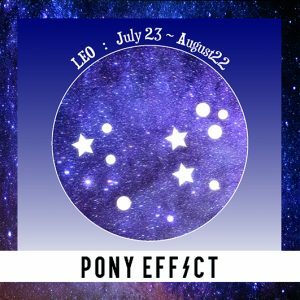 LEO (July 23 – August 22): Pony Effect. Leo characterized by being an independent, strong and very confident person who always want to catch people’s attention. Leo has a particular worry about his appearance, and he will try to have the newest cosmetic products. The brand Pony Effect is perfect for this attention seeker as he could have different and striking designs inside funny packagings. This brand focuses on creativity and uniqueness, at competitive prices but not at the expense of quality. 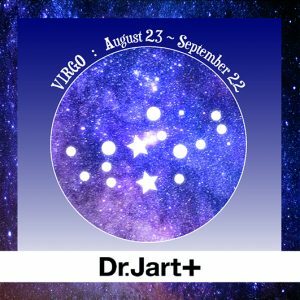 VIRGO (August 23 – September 22): Dr. Jart. Virgo is the perfectionist zodiac sign and also hypochondriac one. Those characteristics make this sign worried about the quality of the skin care products he wants to use, so Dr. Jart is his K beauty brand. Dr. Jart is a professional and clinical brand for the skincare, and a team of 15 dermatologists controls it. All its sheet masks have high-quality sheet masks and its line of Dr. Jart Red Blemish, Clear Sooting Cream that use ceramides to restore moisture to thirsty skin. Take a rest testing their sheet masks. 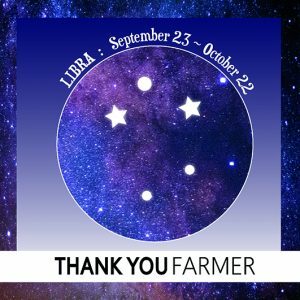 LIBRA (September 23 – October 22): Thank You Farmer. This brand represents the balance and the harmony that characterizes you as Libra. Besides, Libra is a natural beauty lover, so you prefer natural or organic products. Thank you farmer show user-friendly and harmonious packaging, optimal presentation for someone like Libra. Don’t forget to try its best product, the Miracle Age Repair Toner. You also would love its True Water Deep Serum, perfect for dry skin. 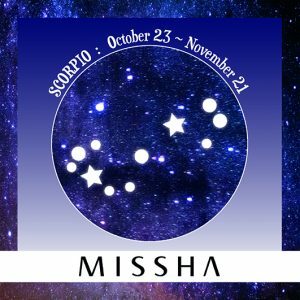 SCORPIO (October 23 – November 21): Missha. Scorpio will always choose the dark side and the mysterious part. One of the most renowned Korean brands in the world. 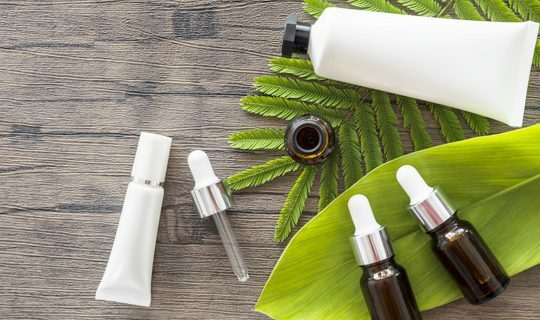 It blends natural and pharmaceutical ingredients and the most current skin technology to create high-quality products at fair prices. Perfect for the dark Scorpio for the combination of luxury, feminine power and mysterious in the packaging. Missha makeup products allow that dramatic look Scorpio likes much. Try its best sellers like the M Perfect Cover BB Cream SPF 42 PA+++(50ml), the Time Revolution The First Treatment Essence Intensive or the Time Revolution Night Repair Science Activator Ampoule. 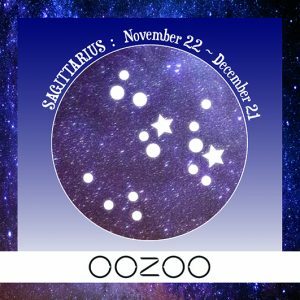 SAGITTARIUS (November 22 – December 21): OOZOO. Sagittarius need the skin care products that match his energetic lifestyle, so he always prefers effortless and quick skincare routine. The lip balm, sun cream, and the moisturizing cream are must in any of his trips to prevent the skin dryness. OOZOO brand has the proper products for this adventurous spirit with its line sheet masks. Don’t forget to try its top product for dry skin: The OOZOO power capsule mask. And also its line of masks Bear Aurora Illuminating Masks. You have many different ones. 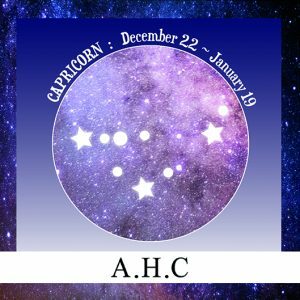 CAPRICORN (December 22 – January 19): AHC. Capricorn prefers expensive skin care products and efficient ones, mainly because it usually has sensitive skin. Therefore AHC is the ideal brand for you, ambitious and perfectionist Capricorn. AHC means effort, maturity and hard work in a varied product line to treat any skin problem carefully, ranging from sensitive skin to acne or spots. 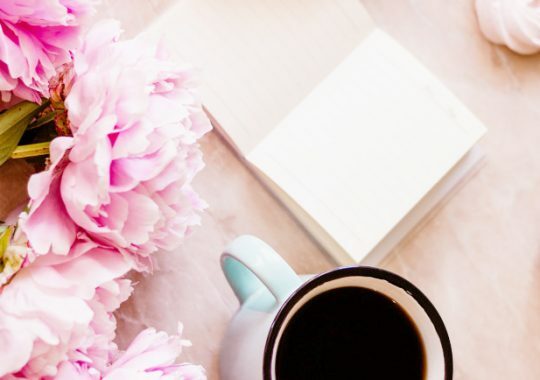 Try The Pure Real Eye Cream for Face, concentrated anti-aging for eye contour or the Premium Hydra B5 Sleeping Pack, the best way to continue to work hard to reach all Capricorn’ s goals. 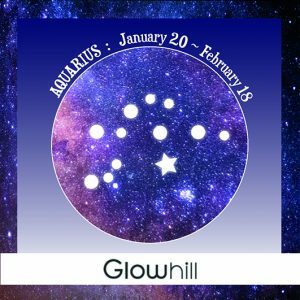 AQUARIUS (January 20 – February 18): GlowHill. GlowHill is the fitting brand for someone with the Aquarius characteristics: original, funny and nature lover. Aquarius loves to try new products and Glow Hill provides a unique selection of many different products. This brand is for original and funny people who leave nothing undared. As Aquarius need to impress people with their choices of styles and preferences and also want to be aware of the latest in skin care technology, Glow Hill is the proper brand for this sign. You will love its glitter sheet masks and the pure peel hydrate cream. 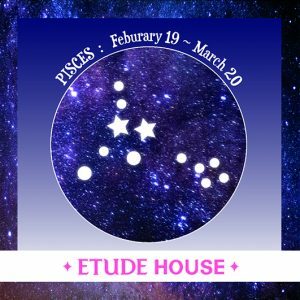 PISCES (February 19 – March 20): Etude House. The famous Korean firm stands out for its vast variety and the finesse of the skin care and make-up products. Pisces usually choose beautiful and soft colors that stress the natural beauty. The dreamy zodiac sign combines the sweetness, the feeling, and the feminine romanticism, so Etude House is the ideal brand for them. Try its Moistfull Collagen Cream for dry skin or its Wonder Pore Balancing Cream for oily skin that remove dirt. And also you can find hair care products like Silk Scarf Hair Treatment, perfect product to get the desired Korean hair.